UNLV geoscientists formed analogue clay minerals in a lab, which suggest that, if organic matter is present on Mars, it might not be well preserved. The Curiosity rover made big news in late 2014 when it first detected organic matter on Mars. But in detailed studies of the sites in Gale Crater studied by Curiosity, called Yellowknife Bay and Sheepbed Mudstone, the concentration of organic molecules were much lower than scientists had expected. It was thought that the iron and magnesium-rich clay minerals in Gale Crater — which has also provided evidence of a long-term presence of liquid water in Mars’ past — would be a good place for organic matter to be preserved, as well. But it turns out, according to a new study by a team of geoscientists at the University of Nevada Las Vegas, certain features of the clay minerals on Mars may not be conducive to the preservation of organic matter after all. Hausrath and her team were able to recreate clay minerals in their lab analogous to what might be found in Gale Crater. From previous experiments, it was thought that anoxic conditions — an environment without oxygen — were required for iron-magnesium clay minerals to form. On Earth, a hydrothermal vent would be an example of an anoxic environment. These vents are home to mostly microbes, and oxygen is actually toxic to most of them. Therefore, since thousands of locations on Mars have rock units containing iron-magnesium minerals it was thought any organics would be well preserved. 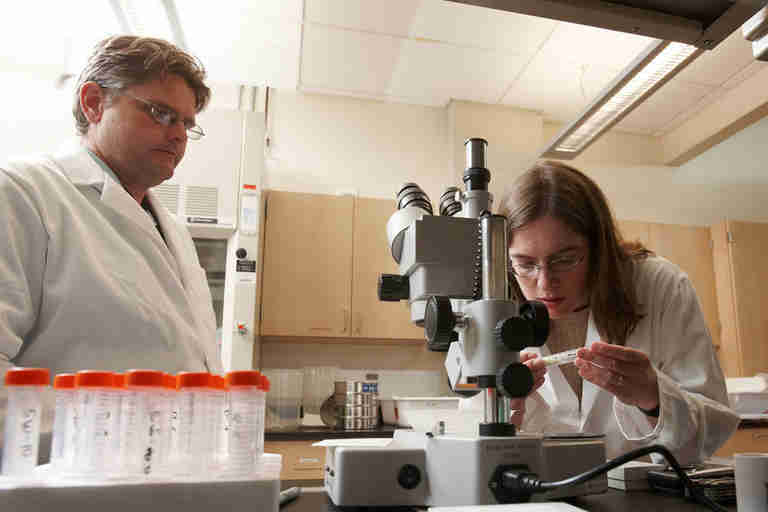 But Hausrath and colleagues were also able to synthesize clay minerals under oxidized conditions — where oxygen was present — which would destroy organic molecules. What they found is that these types of minerals actually formed faster when oxygen was present. “The results suggested that the iron and magnesium-rich clay minerals formed quickly under oxidized conditions, which could help explain low concentrations of organics within some rocks or sediments on Mars,” former Ph.D. student Seth Gainey said in a statement. Therefore, past organic matter, including possible signs of life, may not be well-preserved on Mars. But that doesn’t mean that life never formed on Mars. As we know on Earth, life seems to adapt to the conditions in which it was formed, and life on Mars may have perhaps developed to adapt to the oxidized conditions in the soil. The study Hausrath mention was published last month in the journal of the American Society for Microbiology. Her lab's latest findings were published in the journal Nature. From all the evidence gathered by the Curiosity rover, scientists think Gale Crater was once the site of a lake billions of years ago, and rocks like mudstone formed from sediment in the lake. While organics were found there, there is not enough evidence to tell if the matter found by the rover team came from ancient Martian life or from a non-biological process. Some examples of non-biological sources include chemical reactions in water at ancient Martian hot springs or delivery of organic material to Mars by interplanetary dust or fragments of asteroids and comets. But the discovery of organics shows that the ancient Martian environment offered a supply of organic molecules for use as building blocks for life and an energy source for life. Curiosity's earlier analysis of this same mudstone revealed that the environment offered water and chemical elements essential for life and a different chemical energy source. Scientists will use the UNLV findings to help select a landing site for the next Mars rover, NASA’s 2020 rover mission that hopes to find evidence of past Martian life. The mission will carry several instruments aimed at finding organisms, or at least organics, and it will also cache soil samples that will be returned to Earth at some later date as part of another, currently unscheduled mission. Hausrath is currently serving on the Returned Sample Science Board, which provides scientific input to NASA on issues related to collecting and caching Mars samples for return to Earth. 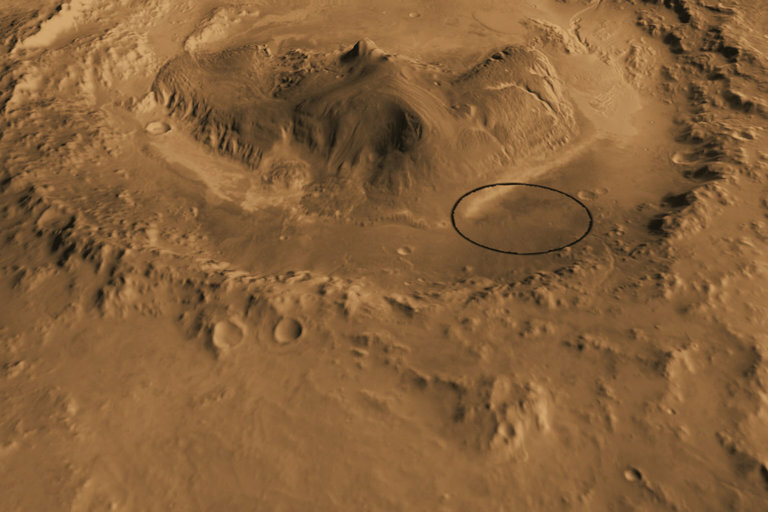 Last year, the 2020 team narrowed the possible landing sites down to three candidates: Jezero Crater, which seems to be a crater much like Gale Crater that was once a lake; the northeast Syrtis region that has layered terrain with possible past hot springs; and Columbia Hills, which was studied by Spirit rover. Hausrath said she doesn’t have a favorite, at least yet, among the sites.